The beginning of any new year brings thoughts of ambitions, objectives, aspirations and purposes; all important things to think about. However, it also allows us the opportunity to put together a wish-list. I believe that everyone has a wish list made up of things that give us hope and excitement and something to look forward to. Well, I am in trouble because this is just the beginning of my wish list and I am running out of room. I just might have to add more another day! 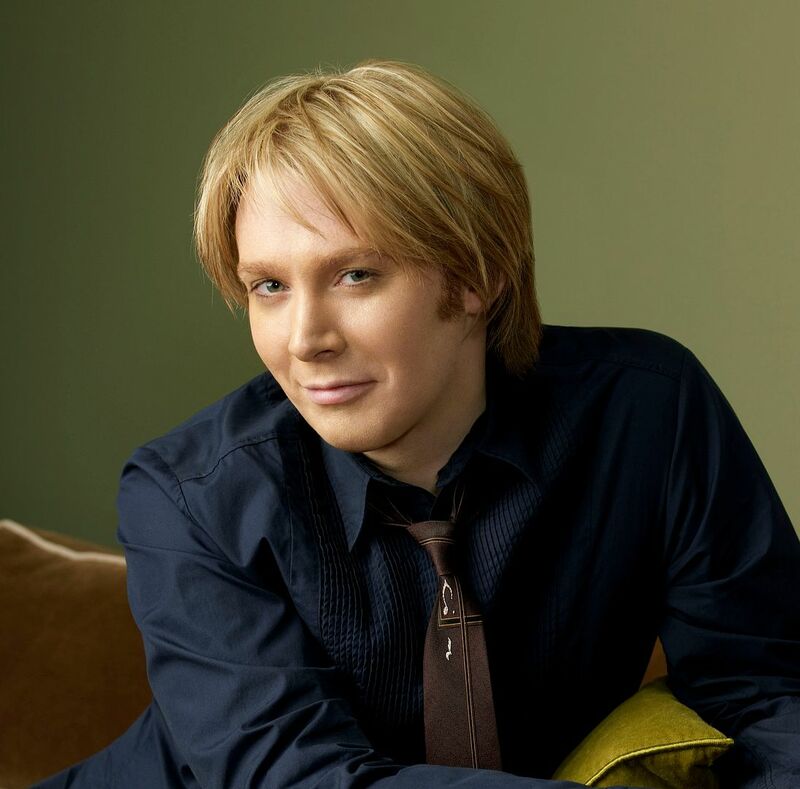 What’s on your Clay Aiken Wish-list?? 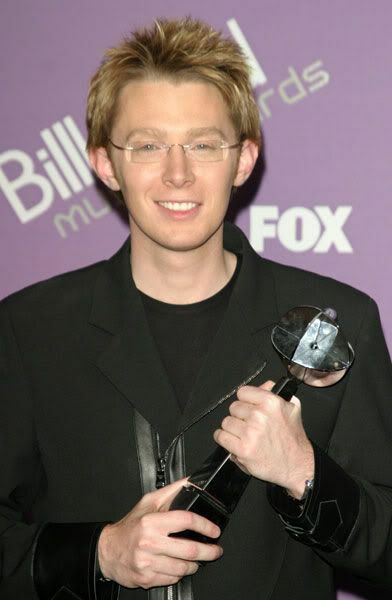 For Clay Aiken, my wish is that he finds the support and success with Decca that his beautiful pipes and outstanding talent for entertaining deserve. This, of course, covers media promos, appearances, tours, album sales, the whole spectrum. I wish him much personal happiness and extraordinary heights in his humanitarian endeavors with UNICEF and the National Inclusion Project. Personally, I hope to be around a long time to enjoy the above. My wishlist is much like yours……….and I do wish for happiness for Clay, although I don't know what picture you would use for that. #1 on my list is NEWS!!! NOW!!! Musicfan, I 100% agree with this! My hope is Clay visits Jay Leno Show, He'll succeed in his new album, and my friends will remember who clay aiken is. All of the above and more………………….. I too wish for all of the above. This is the year for Clay Aiken to once again shine. He has weathered the storms and come through it with his talent and fanbase intact. He has proven himself to be head and shoulders above the critics and naysayers by achieving mega success and leading a quiet and dignified personal life in the midst of the fishbowl of celebrity. No one deserves more accolades than Clay. 2010 looks to be the Year of the Aiken!! I can't wait! Love your comments, and i second all of it. I would also love to see Clay on Jimmy Kimmel’s Show again. They seem like they are good friends. I want him to get a lot of promotion for his new CD too. I hope he is on Leno..because they always seem to have a humorous camaradarie with each other. In other words, I wish him much happiness, success in his career and in his Humanitariun Life too. Oh, also a tour this year to end all tours. Oh..and everything else that you said MusicFan. Your Clay Aiken wish list and mine looks identical :D. I hope there's more coming because I love those awesome pictures that accompany them! Love Clay so much! Pray he always be on the right path for his life and every door that is supposed to open, will open and that everything he does prospers and comes to great success!! Candi…. I know how you feel. I also wish he wasn't gay. Although it doesn't stop me from thinking of the so many things I would do to him… lol 😉 I just love him so much. Sometimes I can't even explain why. Since it's not my life, I wish whatever Clay wants to be within his reach. He brings joy to many with his sense of humour and devotes much time to trying to improve the lives of children of all abilities, all nationalities and all religions. I'm looking forward to whatever unfolds in his career with no expectations. Short but sweet, I want everything and anything that makes Clay happy in his personal life, his career and humanitarian endeavors. I pray that everything he wishes for comes true for him. My Wish For Clay Is That He Has A Joyous Peaceful New Year And That He Gets A Chance To Enjoy His Son AS Well As Tour And Get The Chance To Make Faye AS Proud AS EVER.I Also Wish For Him To Make A Wonderful CD! I wish the same things. I'm missing Clay terribly already. And to Clay and all Clayfans, I wish them good health, happiness, joy , peace and prosperity. I like your list. 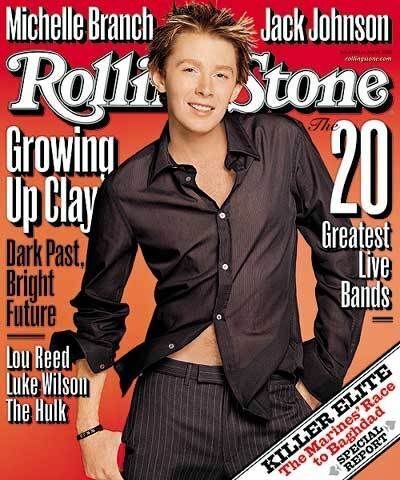 I'll add one thing that's on my Clay Aiken wish list for 2010. I'd love for Clay to sing the theme song for a blockbuster movie and have a mega radio hit like Celine had with "My Heart Will Go On." Also, he gets to perform it on the Oscars with millions of people watching. I wish Clay Aiken all the happiness in the world – in his personal and professional life and his humanitarian endeavors. Thanks for these wonderful photos. I had never seen the article from Elle magazine, but was able to pull it up on line. How interesting to read that Allison Glock had written it. She later was the person who co-wrote Clay's book Learning to Sing! Error: Error validating access token: Session has expired on Tuesday, 21-Aug-18 16:13:01 PDT. The current time is Thursday, 18-Apr-19 22:52:44 PDT.